Our specially designed workshops for teachers can be delivered direct to schools and academy chains or via Music Hubs' conferences, events and network meetings. We also offer open workshops across the UK. See if there's one near you! Each workshop has been carefully designed to spark creativity and imagination, and to build the skills necessary to allow any teacher to confidently use songs to support the music and general curriculums. 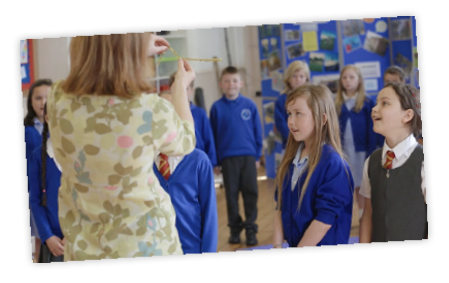 Our workshop leaders are all education professionals and singing/music specialists, with a wealth of experience in developing and delivering singing in schools, classrooms, music services, and PGCE and SCITT training.